At Dusek Law, we are passionate about providing high-caliber legal representation paired with personal, attentive service. We represent clients throughout Minnesota and North Dakota, advocating zealously on their behalf in criminal defense law cases. 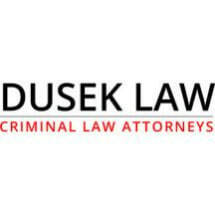 With more than 20 years of experience, attorney David Dusek founded Dusek Law with the goal of helping clients secure timely and successful results in even the most complex legal matters. His aggressive and strategic advocacy style has helped him build a track record of success in negotiations and at trial. What makes Dusek Law unique is our commitment to customer service. We work closely with all of our clients, learning about their goals and concerns and taking the time to explain all of their options. Our staff strives to return calls on the day they were received and we reach out to clients on a regular basis to keep them informed about the developments in their case. From our offices in Grand Forks, East Grand Forks and Minot, we serve clients throughout Minnesota and North Dakota. We are available 24 hours a day by phone and offer weekend and evening appointments upon request. To schedule a free initial consultation with an experienced criminal defense lawyer, contact Dusek Law at 877-387-3524.